Already some weeks age, Gronlandsbanken reported 2013 numbers and published their 2013 annual report, which is again a must read for anyone interested in Greenland. The bank seems to be a little bit more optimistic than last year. Profit was around 10% lower than in 2012, which is not bad for a stagnant economy. The dividend has been kept stable which means the dividend yield of around 7,8% at current prices. Overall, Gronlandsbanken in my opinion still offers a lot of positive optimality, although it might need a few more years to really see an impact of potential large-scale mining projects. Better than with a “classical” option, I get paid for waiting. Sias released 2013 results last week (in Italian only). Traffic was again down compared to 2012, but revenues increased due to the purchases out of the South America proceeds. They earned 0,61 EUR per share resulting in a trailing P/E of 13.8. For a “average” company like SIAS, this is already relatively expensive in my opinion, so I will sell down half of my current position (5,3%) at current prices, which would result in a profit of close to 100% for this part. Finally, Thermador released 2013 numbers and its English language annual report. Sales declined in a tough market by -2%, profit slightly more from 4.96 EUR per share to 4,68 EUR. Cash flow however was very strong due to a significant release of working capital, net cash is now around 32 mn EUR or ~ 7,4 EUR per share. The cash adjusted P/E of around 14 for a high quality firm like Thermador is in my opinion still adequate. Already a few day<s ago, April presented preliminary 2013 results. Overall profits were a little bit lower than in 2012 resulting in 1.22 EUR Earnings per share against 1,38 EUR in 2012. Although this is the 5th decline in a row, this time the reason seems to be almost exclusively in the lower interest rates. I think one can expect that from a operational point of view, the bottom should be near. Interestingly, they still earn very nice ROCEs even at those depressed levels. Adjusted for cash, they trade at single digit P/E which implies in my opinion still a good risk/return relationship. Thermador Groupe (ISIN FR000006111) – a true “hidden champion” from France ? Back to my favourite hunting ground France, the country which, according to the “famous” Harvard professor Niall Fergusson, will burn this summer. Thermador Groupe wholesales plumbing supplies. The Company buys plumbing supplies primarily from manufacturers outside France and distributes them throughout France. Thermador distributes ball, butterfly, check, motor-operated and solenoid-operated valves, pneumatic actuators, central heating system components, plastic pipe, and domestic and small community pumps. Doesn’t sound too exciting but that is usually a very good sign. The company is debt free and showed 5.4 EUR net cash per share at year end 2012. So far so good, but why should this company be a “hidden champion” ? High single digit margins and consistently ~20% return on investment implies that those guys know what they are doing. But it gets even better. Despite good growth in those 11 years (sales doubled), the showed a very healthy free cashflow generation. Around 75% of earnings have been converted into free cash flow and again, 90% of free cash flow has been paid out as dividends. Those are quite impressive numbers for a “traditional” business. Again, the question here is: How do they do this ? On the surface, a wholeseller should not be able to make a net margin of 10%, so there must be a lot more to this story. Thankfully, one doesn’t need to look around in the web to find out about them because they produce a fantastic annual report in English language. The last bullet is important: A “Normal” wholeseller, for instance in the food industry doesn’t have a lot of end clients. In such cases it is relatively easy to “cut out the middlemen”. For a wholeseller with a larger number of partners on each side, it is much easier to create value and extract higher margins. 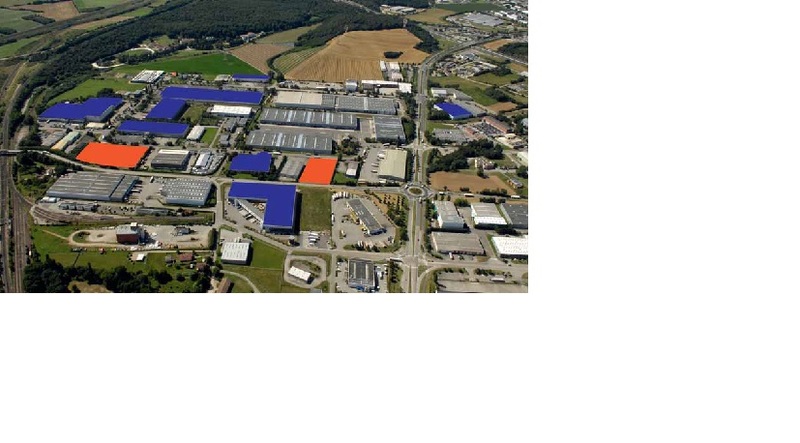 Interestingly, they manage to do this (so far) by only 1 big distribution center in Southern France. People sometimes ask us about the suitability of our organisation chart: why 8 subsidiaries with 8 management teams, 8 sales teams, 8 purchasing departments, 8 warehouses, etc. Wouldn’t we achieve economies of scale if they were aggregated? On the contrary, we think that the drawbacks this presents are more than counterbalanced by the efficiency inherent in small, specialised and highly motivated teams. The 8 subsidiary directors do indeed have maximum freedom to develop their companies, and enjoy the support of the Group, which provides them with the financial, property and IT resources they need. They are very close to their markets, and have many years’ experience with the Group, with a sound knowledge of their businesses. Guillaume Robin looks to Marylène Boyer and Hervé Le Guillerm for day to day support in managing the Group. A more formal monthly meeting reviews cross-company issues and makes the decisions needed to ensure the Group works efficiently. Each week, the nine directors get together for lunch to talk about current topics. Twice a year, they spend a whole day off-site to discuss strategy and organisation. Finally, each January, fifty managers and supervisors from the Group get together for presentations of each subsidiary’s projects. The audience is then invited to ask the subsidiary directors about their visions, analyses, decisions and forecasts. For anyone having “inside” experience in a large international company with a big HQ, this almost sounds too good to be true. Coincidently, I just read “The Outsiders” and I have to admit, that up until now I didn’t really think about organizational structures so much. But based on the book and my own “day job” experience, I believe that such a company without a big HQ has in itself a competitive advantage against competitors with a rigid hierarchies. Such companies are much faster and at the end of the day more efficient, because the big waste always happens at headquarters. As a picture in the annual report shows, all the companies are located next to each other, however in different buildings. What they seem to share (and what makes a lot of sense) is their IT system and of course the distribution center. Since our teams are part of small companies, each person feels personally concerned: waste leads to an increase in costs and a drop in profits. We are therefore careful to turn out lights when we leave offices, close windows when the heating is on, recycle paper and to avoid heating (or cooling) excessively. Our travelling salespeople do not have “company” fuel cards. When they use their vehicle for professional travel, they are reimbursed on a per-kilometre basis. It is in their interest to drive economically. When they rent vehicles, they are limited to small cars which consume little fuel. Also, we ask all employees of the Group to live within 50 km of our head office. Since the beginning, Thermador Groupe subsidiaries’ profits have been shared with employees. Even before statutory profit sharing, we introduced our own brand of profit sharing in Thermador, the first company created in the Group’s history. This virtuous practice spread to the other subsidiaries subsequently. Profit sharing is the result of a year’s work, during which the management teams present the operating accounts of each subsidiary on a monthly basis. Everybody can understand how the annual result is put together, and what mass of profit sharing will be distributed. The distribution of that mass is decided by the management team, and takes into account each individual’s performance as fairly as possible. Group. It varies from 12 to 27 % of salary. The average for the Group is 22% of gross annual salary. Again, this is something I have never read in such a clear and precise way in an annual report. Funnily enough, a lot of this sounds exactly like in the Les Schwab autobiography I have reviewed a few days ago. Who would have thought that something like this can be found in “socialist” France ? From a valuation perspective, I don’t want to be too sophisticated. This is not a super cheap stock but a very high quality stock. Would this be a UK or US stock, it would trade at least at 8-10 EV/EBITDA. As this is a French stock, one should not expect a lot of “action”. Nevertheless I find it attractive at current levels as I am convinced that they will find ways to grow their business in the future. Clearly, the economic situation in France is the biggest risk. Thermador started to expand interenationally. In their own style, they created of course a seperate entity for this. We will see if the business model works internationally as well. The unit Thermador International founded in 2007, grows quite quickly, but has yet to achieve the profitanility of the other subsidiaries. Additionally, any consolidation, either on the manufacturer or client level might make Thermador’s business more difficult. Finally, some very clever B2B internet company could try to compete with Thermador. However, I think Thermador is much more than matching producer and clients. There is a lot of distribution know how and facilities involved plus guaranteeing services and spare parts within a short time frame. But clearly, this is something to watch out for. Thermador is in my opinion a true “hidden champion”. For me the reason why this company trades below its “true” value is the uniqueness of its business model combined with they way the company is run and organized. Together, this is what I would call a “Les Schwab moat”, the power of a highly motivated company in a competitive market. Clearly, the current situation in France doesn’t make things easier for Thermador. Nevertheless I entered into a 2.5% portfolio position at EUR 58.20 per share. As this would bring my net France exposure above 20%, I sold out the Bouygues stock as a risk management measure.